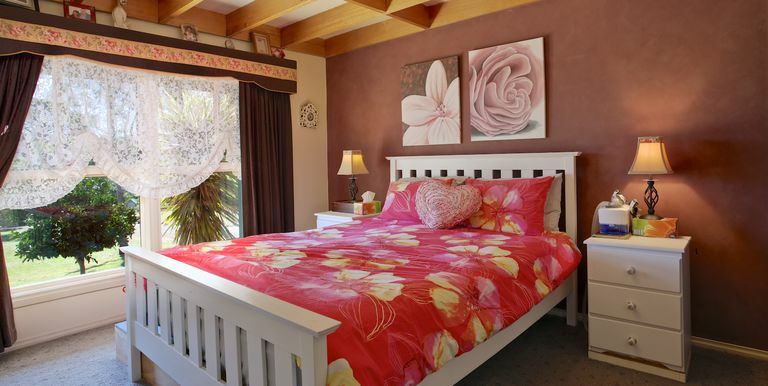 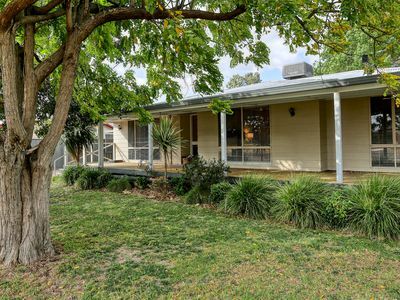 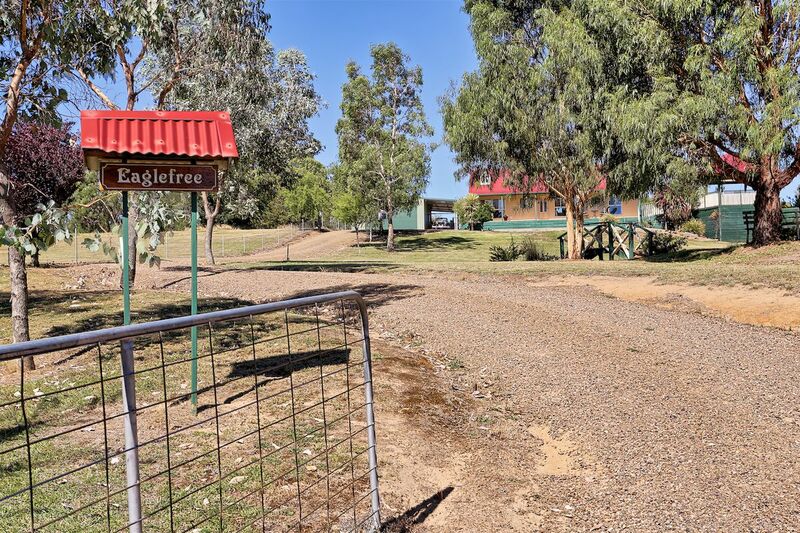 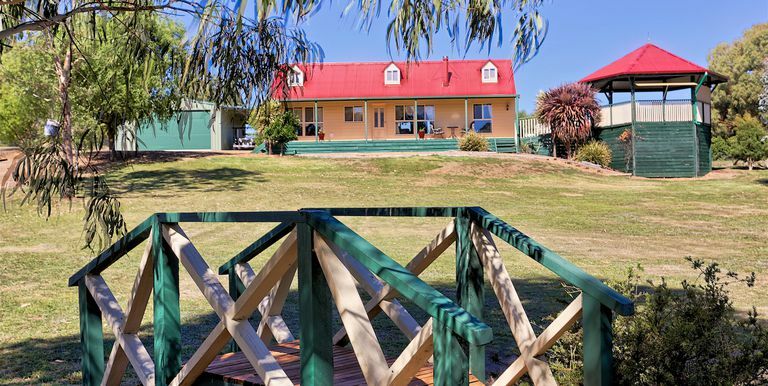 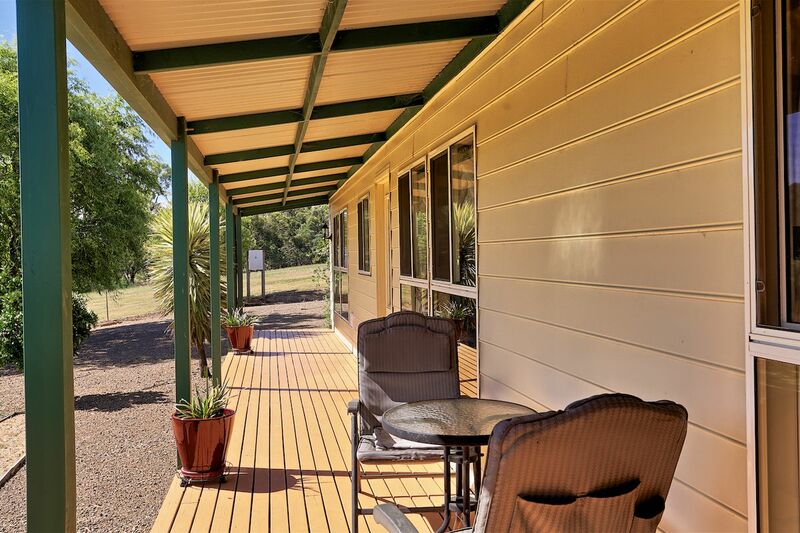 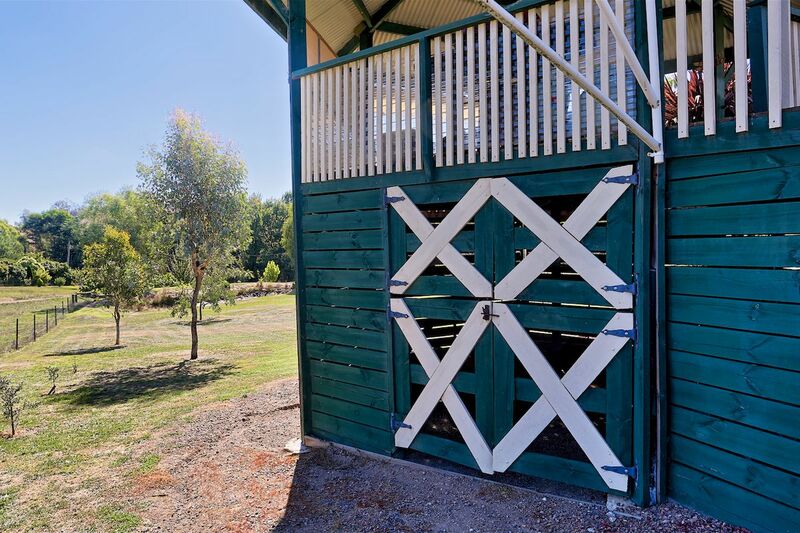 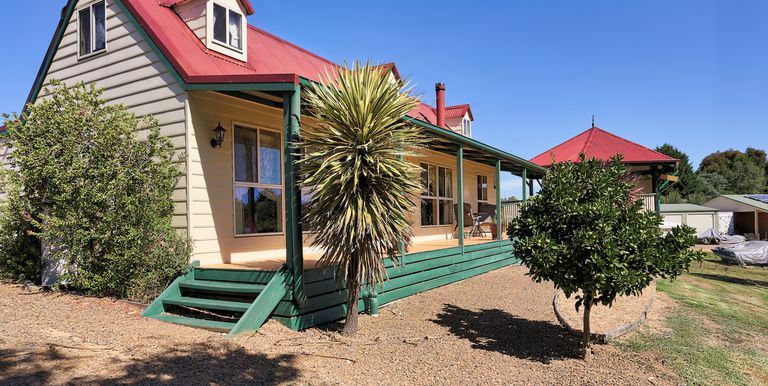 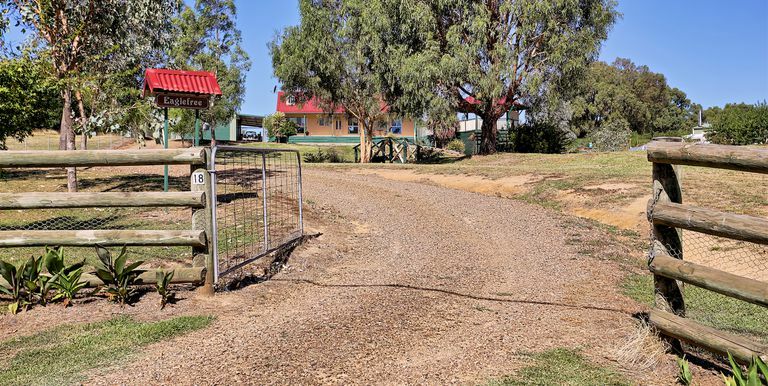 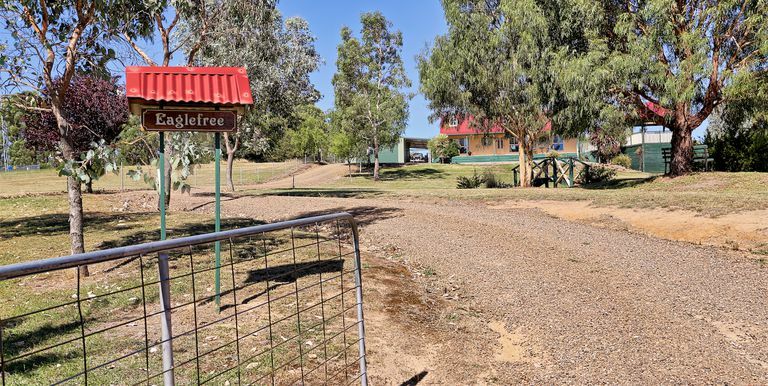 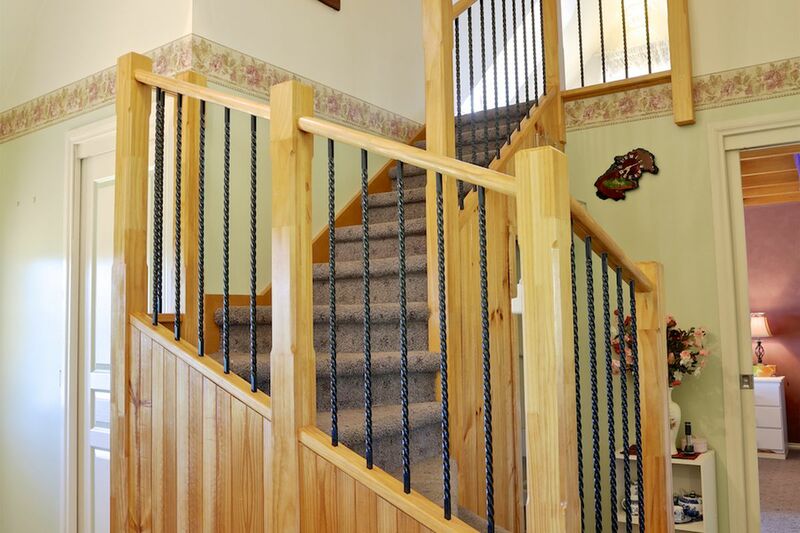 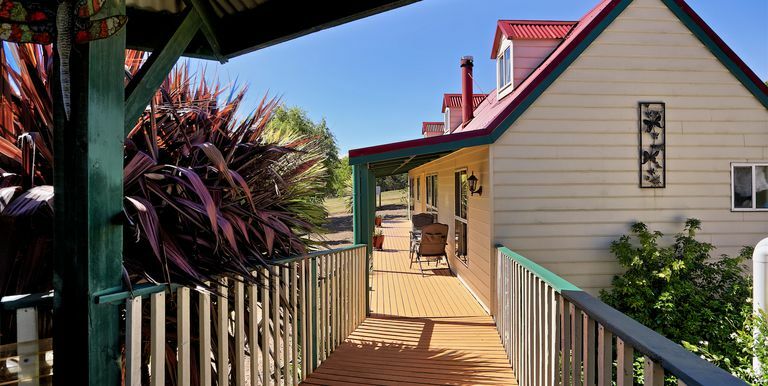 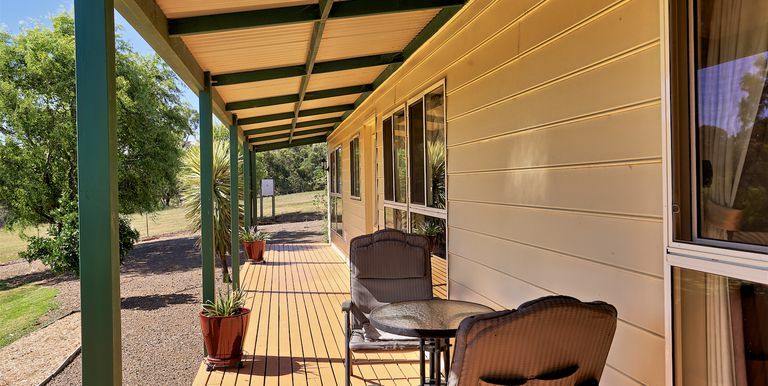 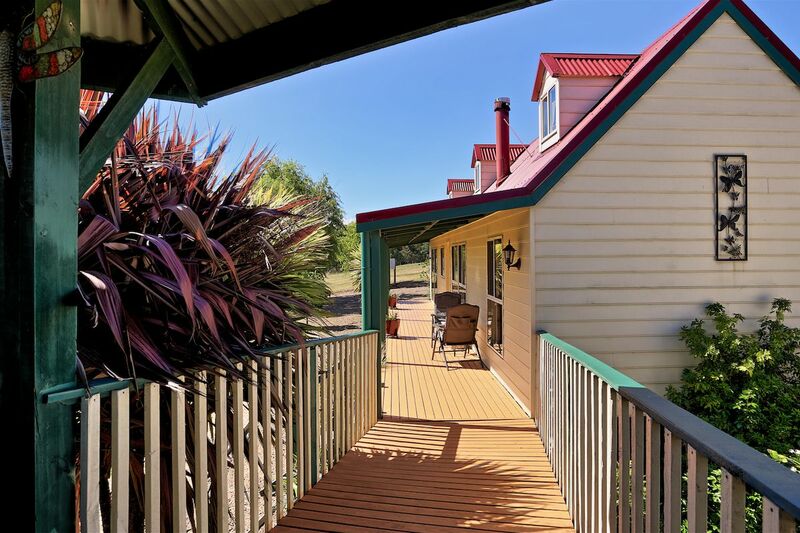 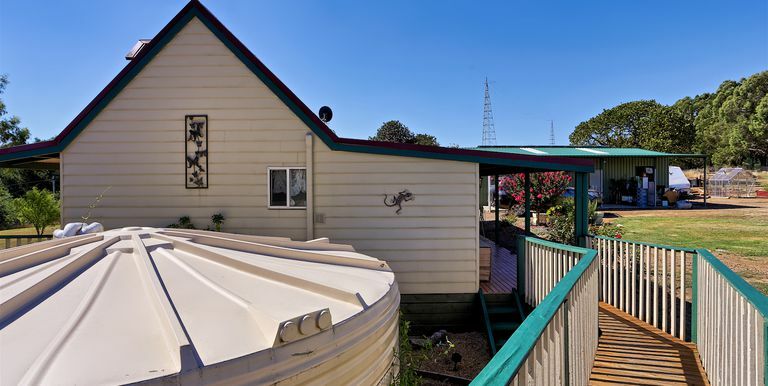 'Eaglefree' is a much cared for property with room to stretch out with over 1 acre of land. 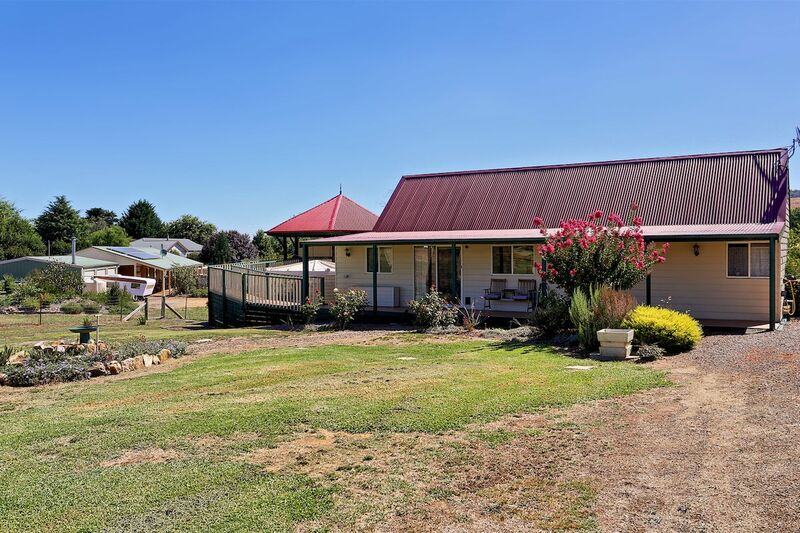 Showcasing a charming 9 years old home with solid outbuildings and boasting lovely outlooks to the township and adjoining golf course. 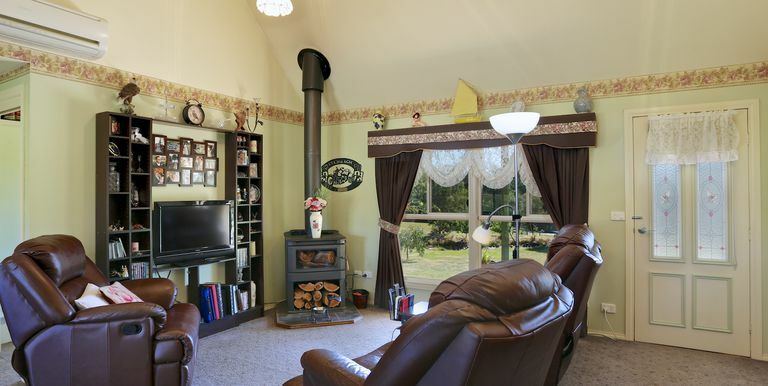 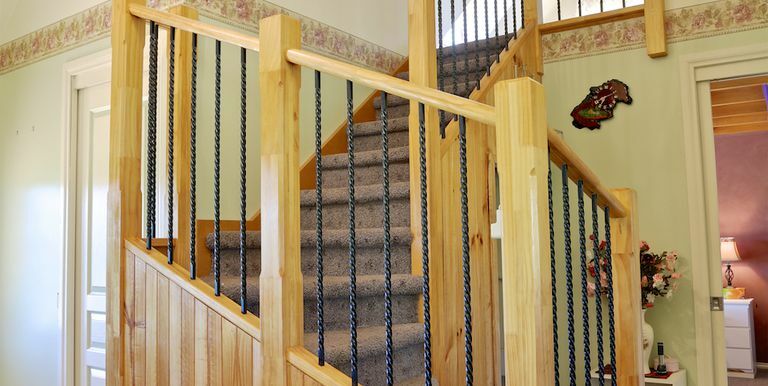 Home: Cottage feel with an easy living floor plan. 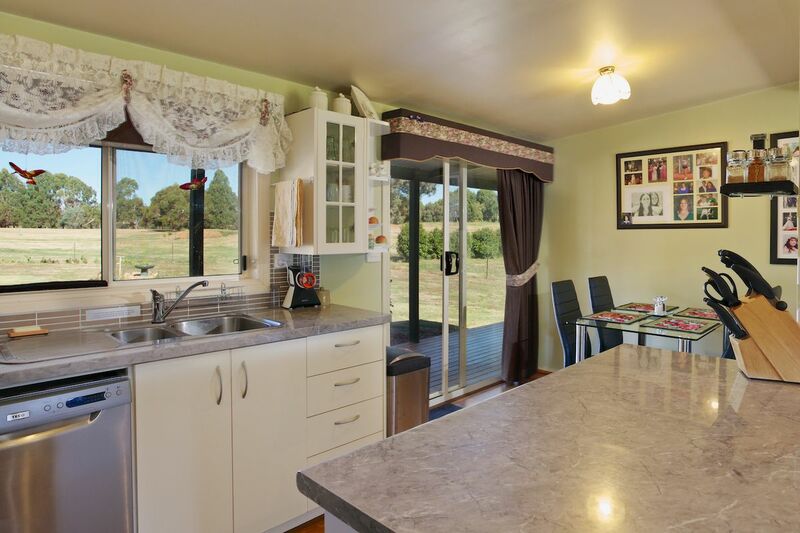 Comprising an open plan lounge room/dining and kitchen area. 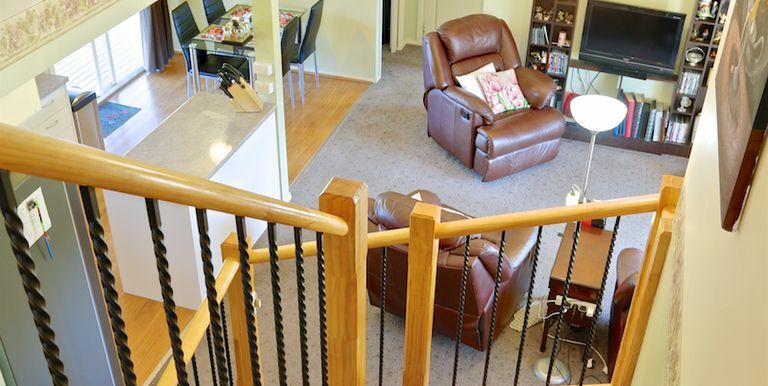 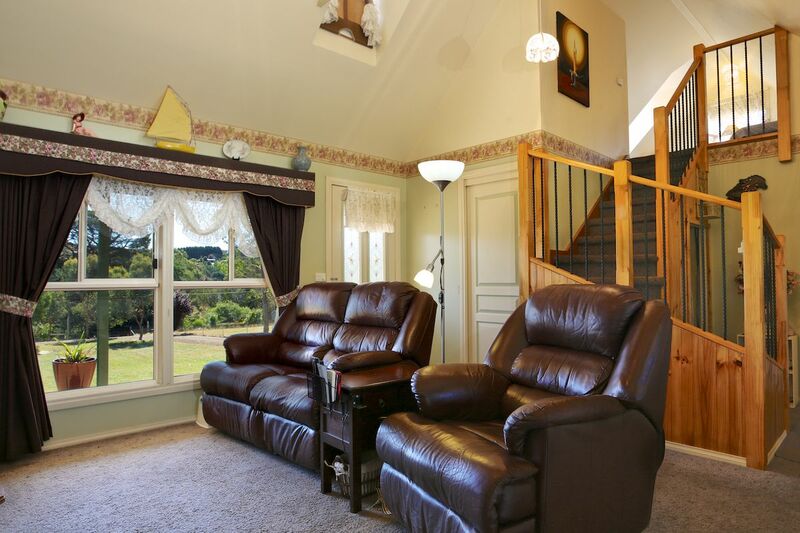 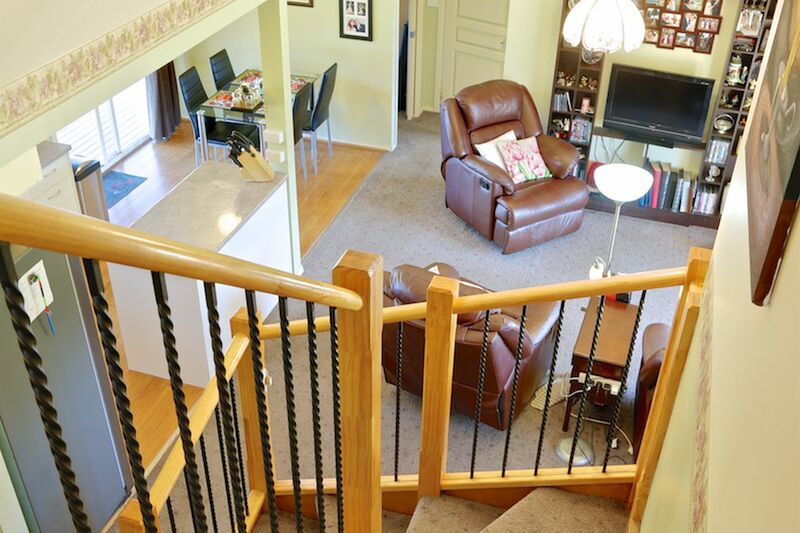 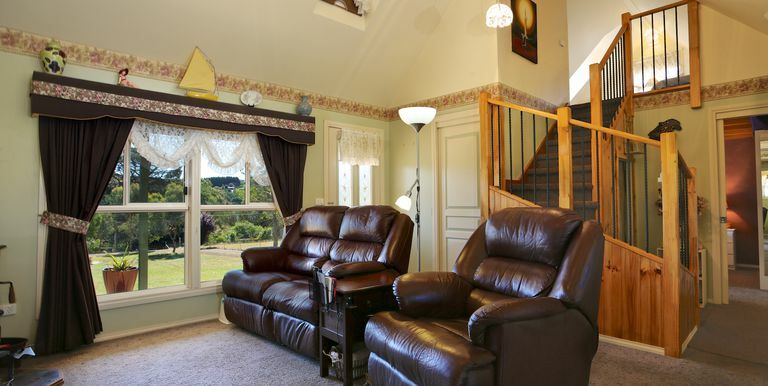 The lounge showcases a character timber staircase with double height cathedral ceiling and attic style window. 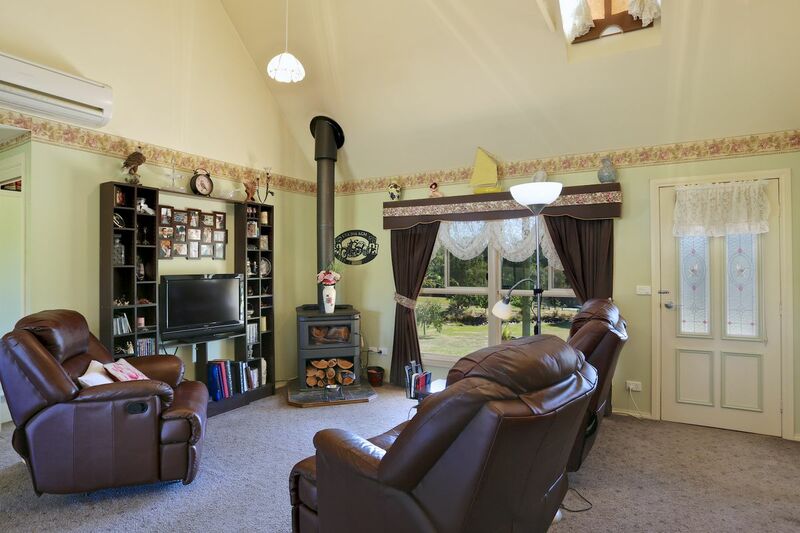 Creature comforts include a combustion wood heater (with wood storage beneath) supported by the Mitsubishi 8kw split system heating/cooling unit along with insulated walls and ceiling. 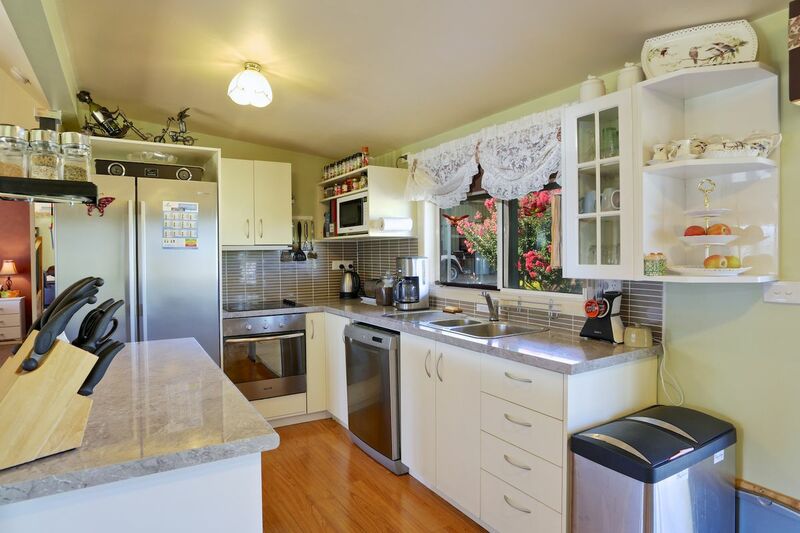 Newly renovated kitchen has lovely outlooks to the outdoors and offers a convection stove/oven, dishwasher, ample bench space and walk in pantry. 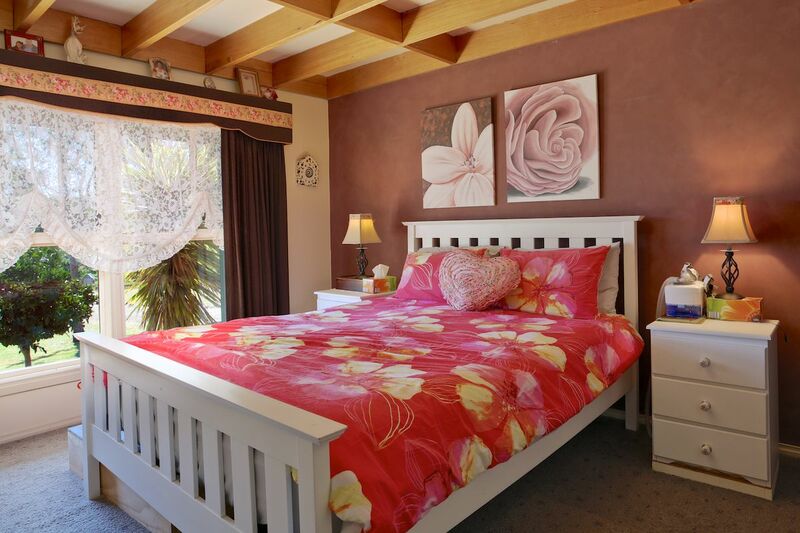 3 inviting bedrooms all with built in robes. 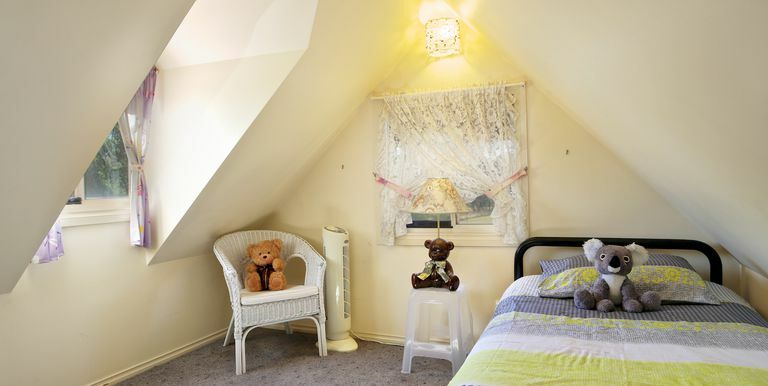 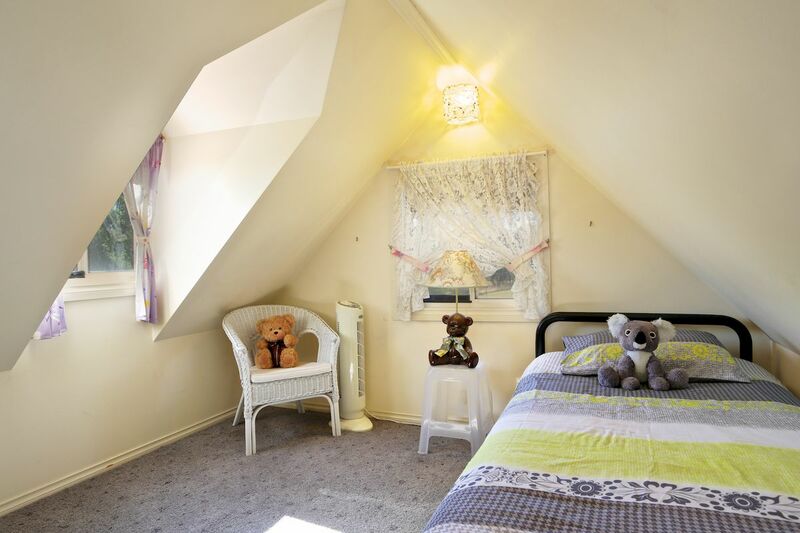 3rd bedroom accessed via staircase with lovely views from the quaint attic style window. 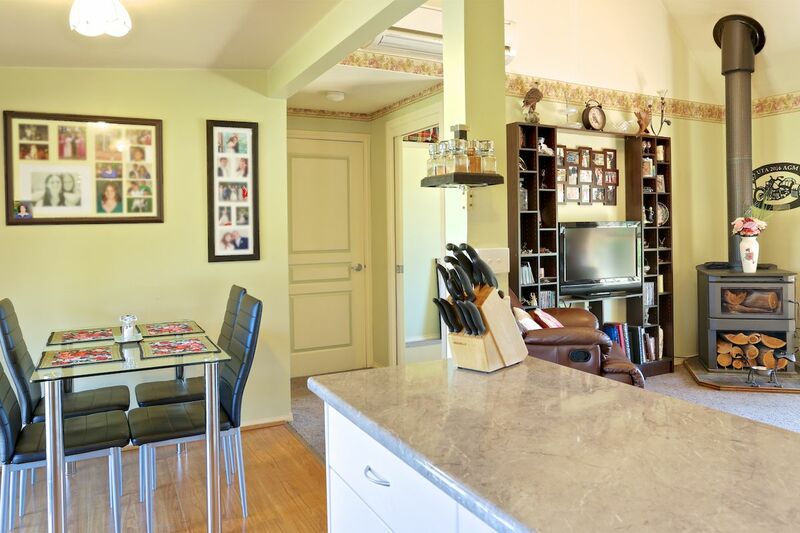 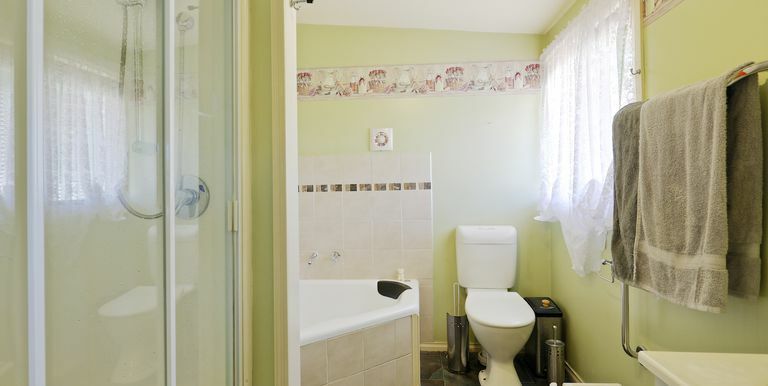 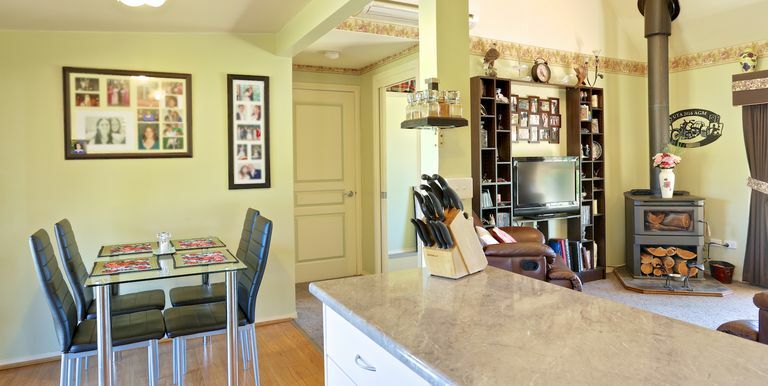 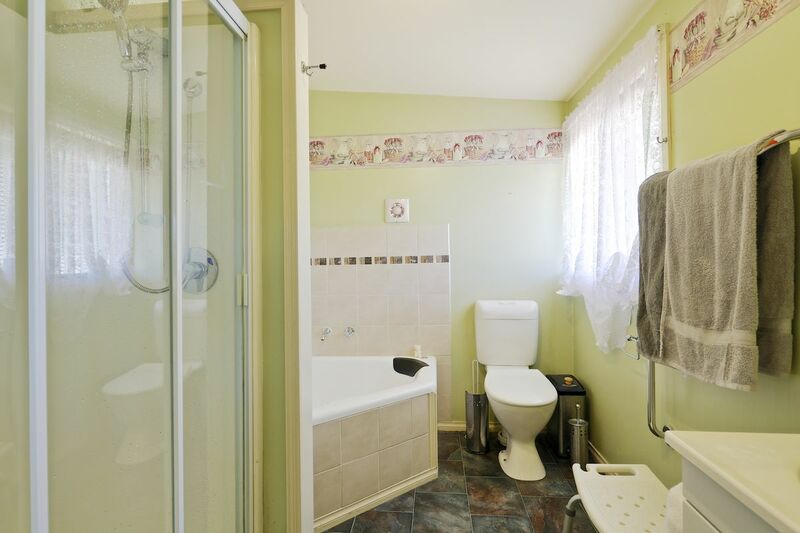 The laundry conveniently backs onto the kitchen area and flows through to the family bathroom. 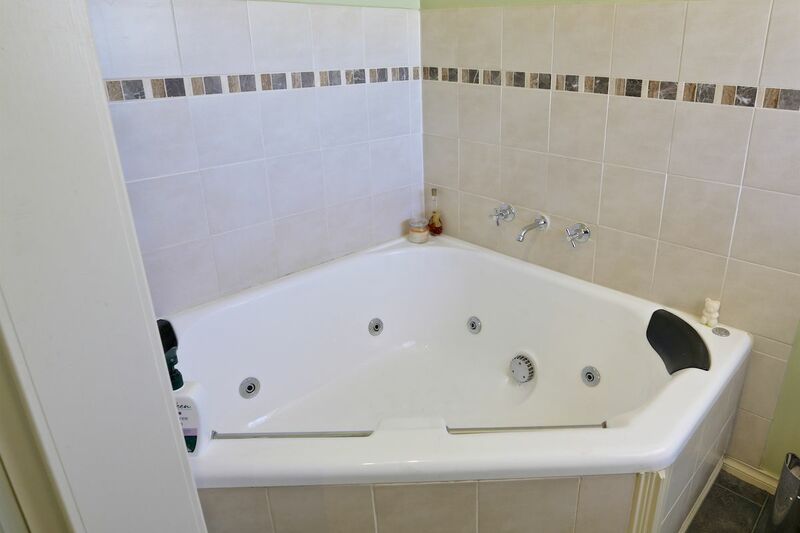 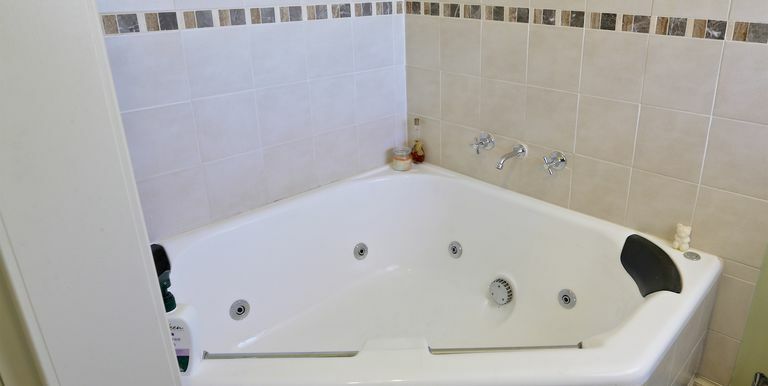 Bathroom offers a spa bath, 1200mm shower and toilet. 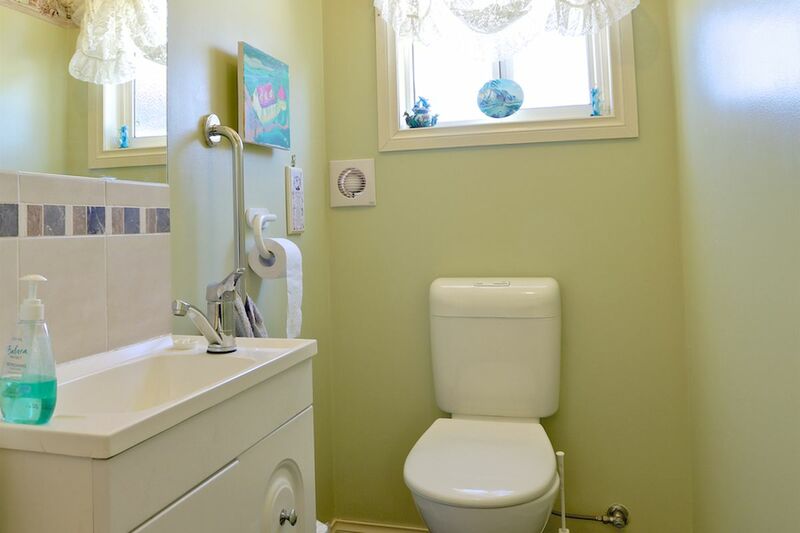 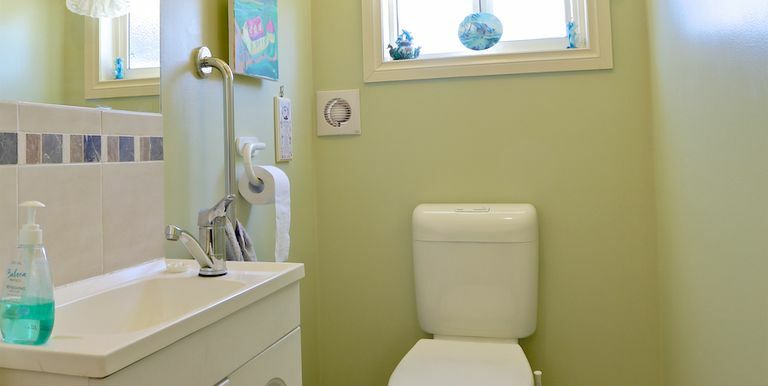 Second toilet with sink located at the other end of home. 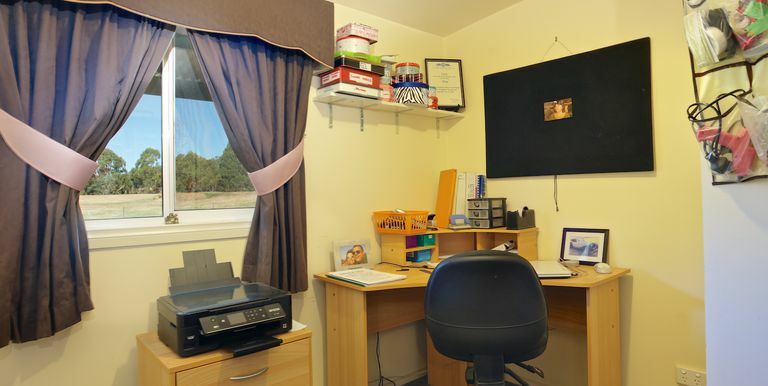 Handy office/ study. 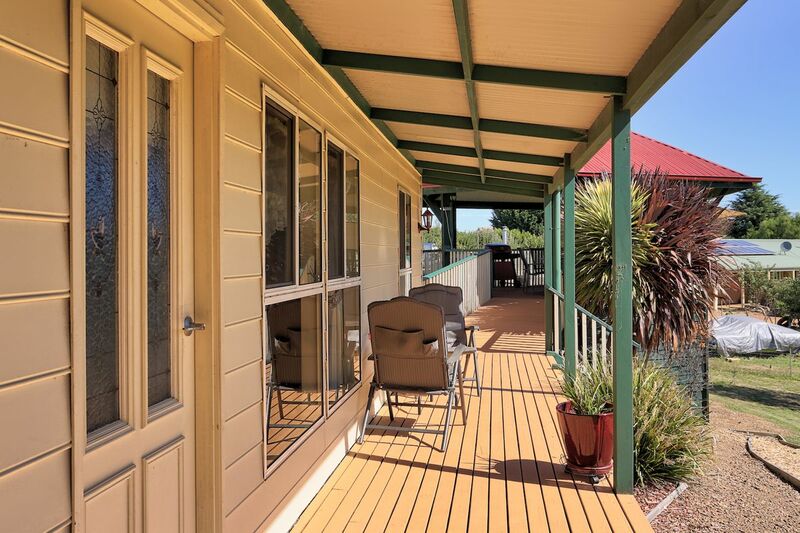 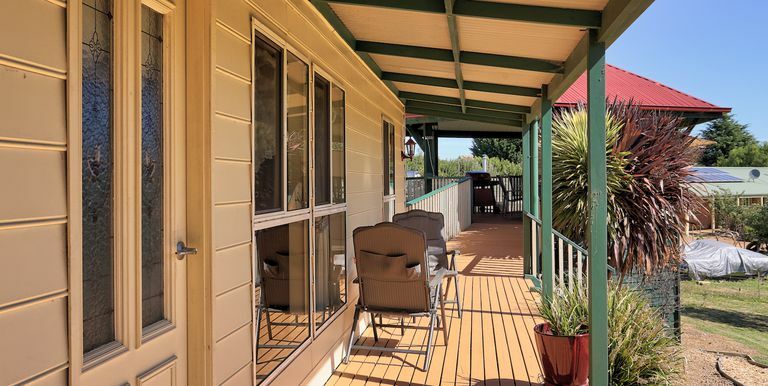 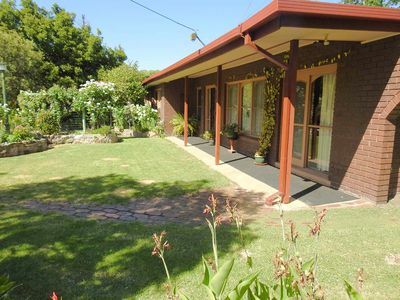 Outdoor Improvements: Long gravelled driveway leads to the elevated home with front and rear 1.7mt verandahs. 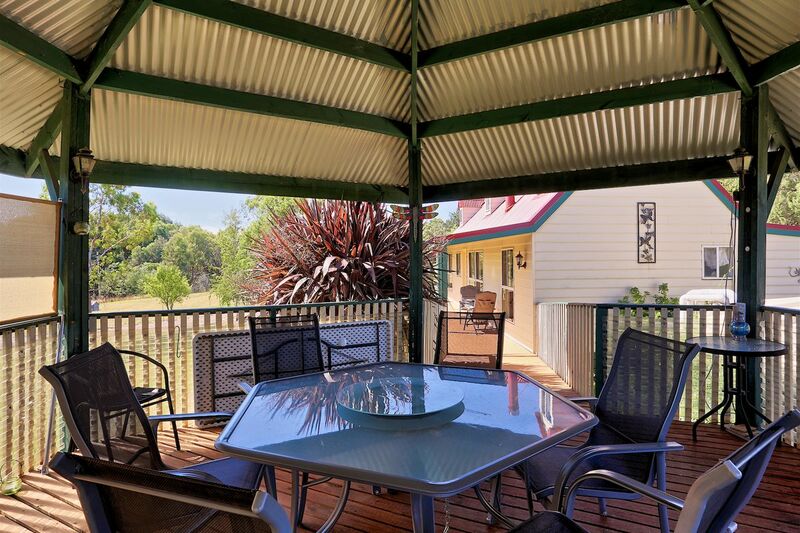 Ideal for entertaining with picturesque outlooks to grasslands and beyond. 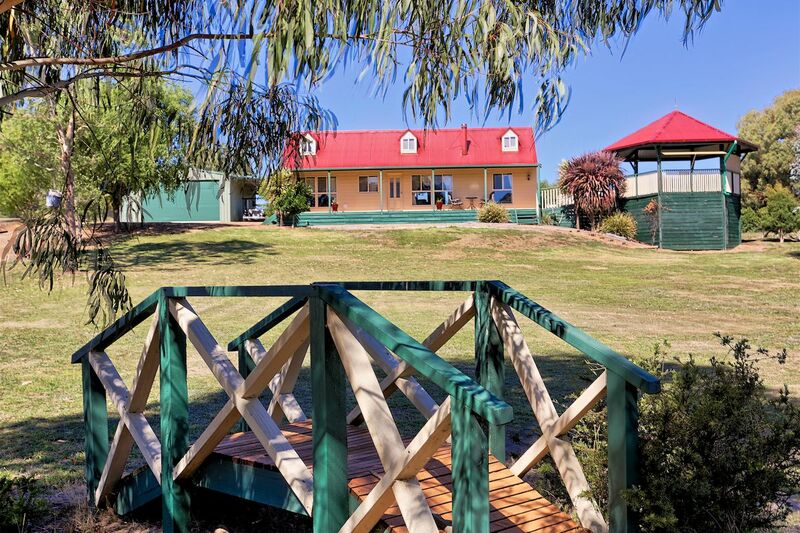 Your very own boardwalk leads to an impressive 6-7mt wide elevated rotunda perfect for functions (seat 12 people) or just winding down over a meal. 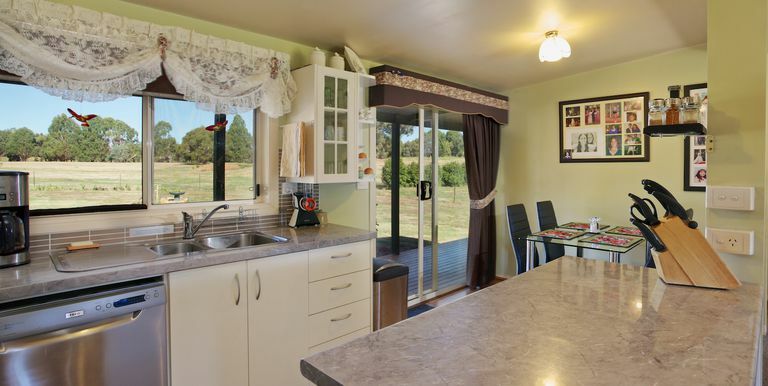 Retractable shade blinds and roomy storage underneath. 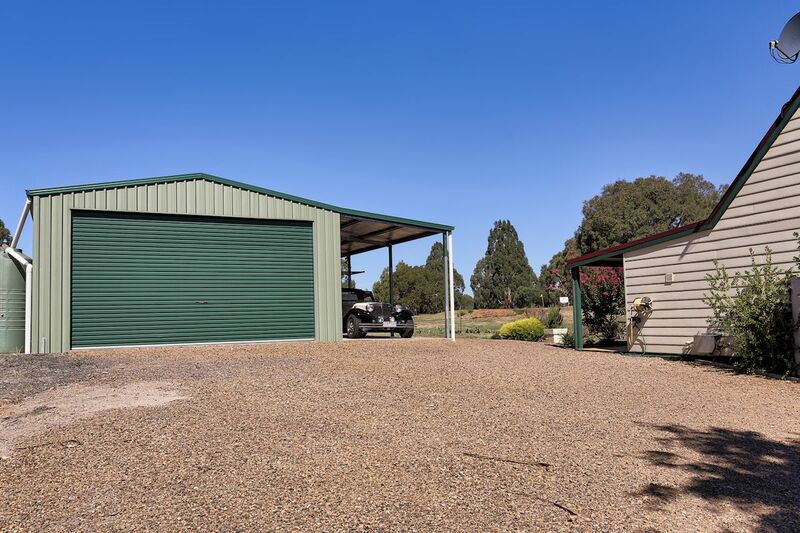 Shedding: 12mt x 6mt shed/ workshop with mains power, concrete flooring, roller door and inbuilt workshop. 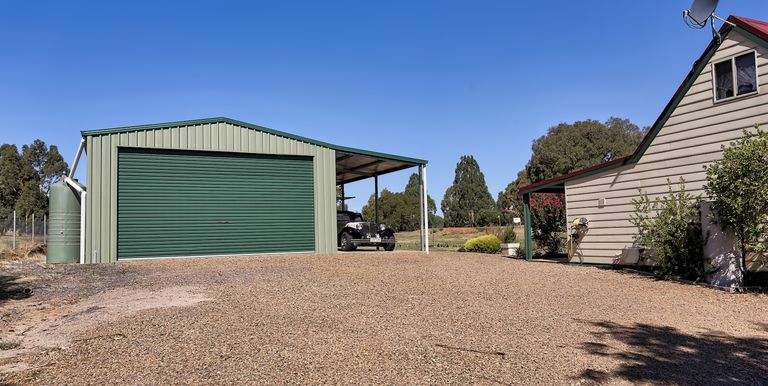 Attached 3mt x 12mt carport/wood storage area. 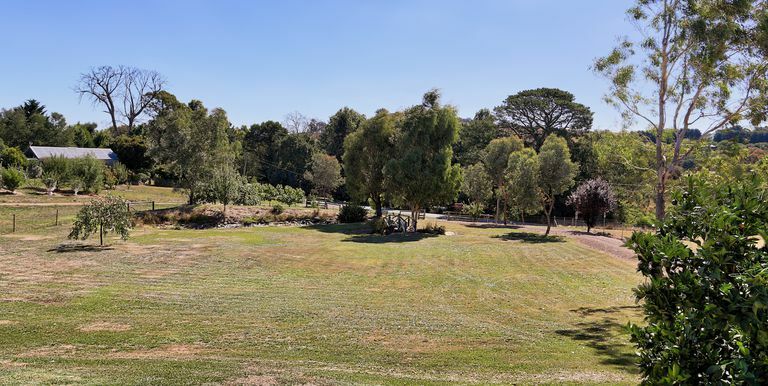 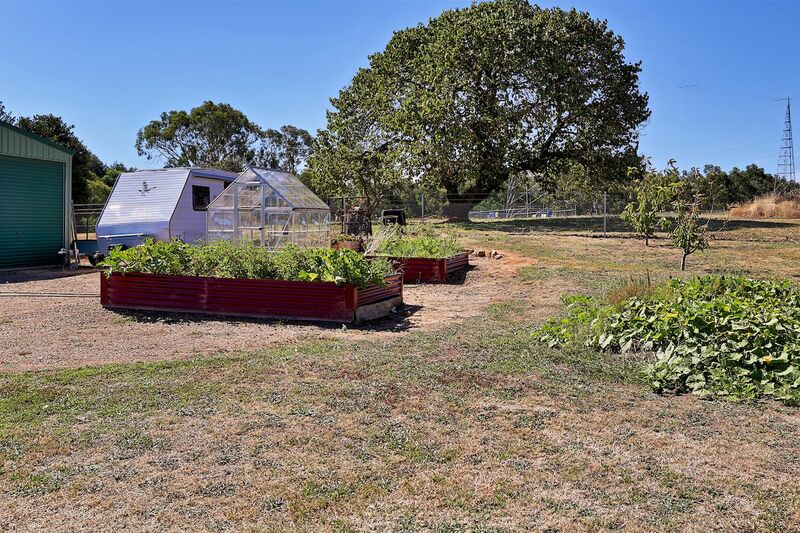 Gardens: Open rolling land with sprawling lawn areas, developing shrubs and trees with a variety of fruit trees. 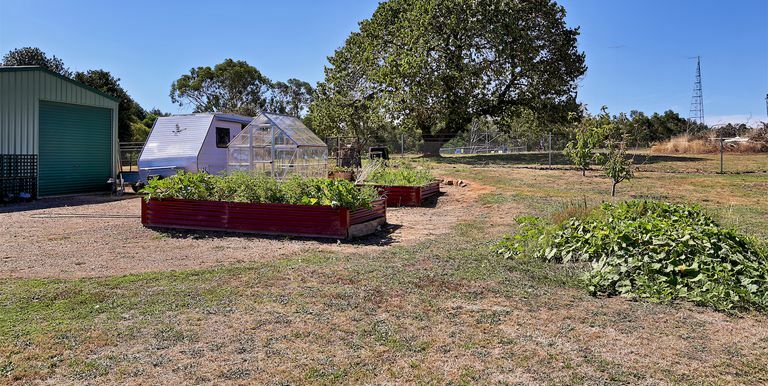 Vegie patch and greenhouse. 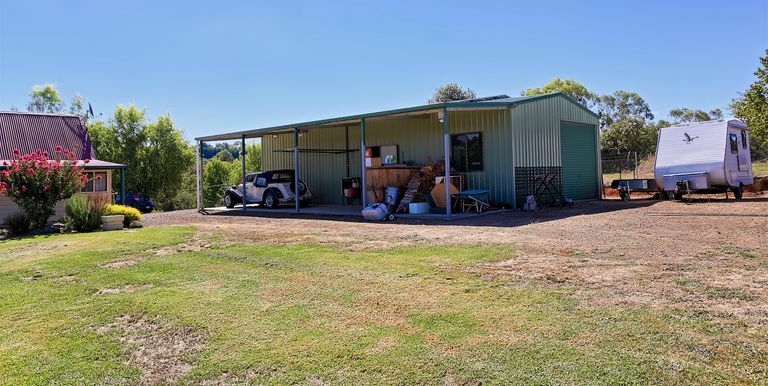 Solar: Mains power connected to home with an additional 4.5kw solar system attached (18panels attached to shed). 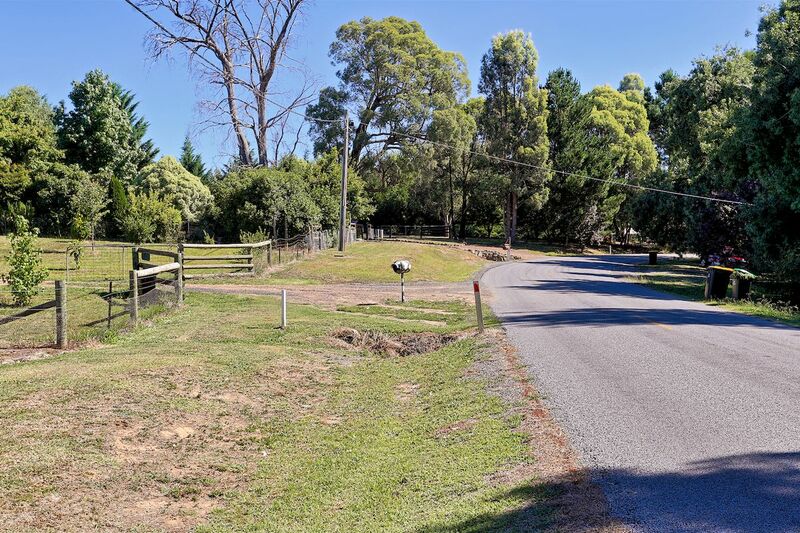 Land: Rolling attractive landscape with over an acre of land (4336m2). 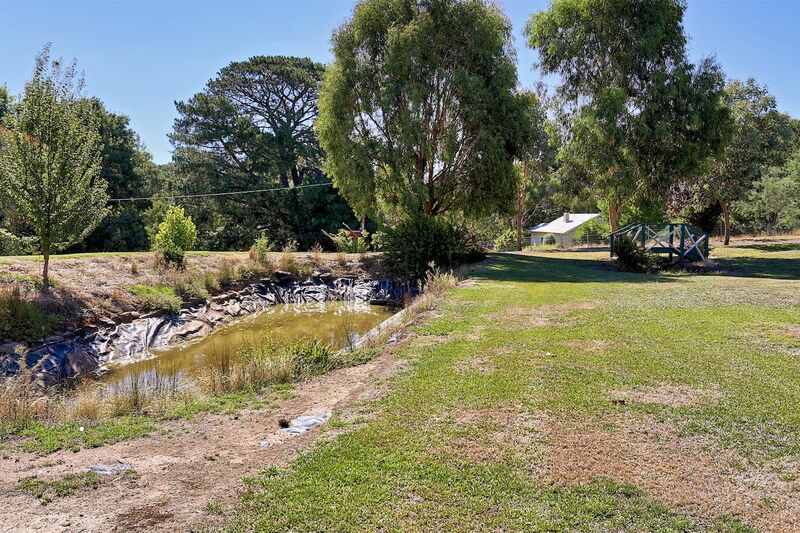 At the base of the property is ornamental bridge overlooking the small dam. 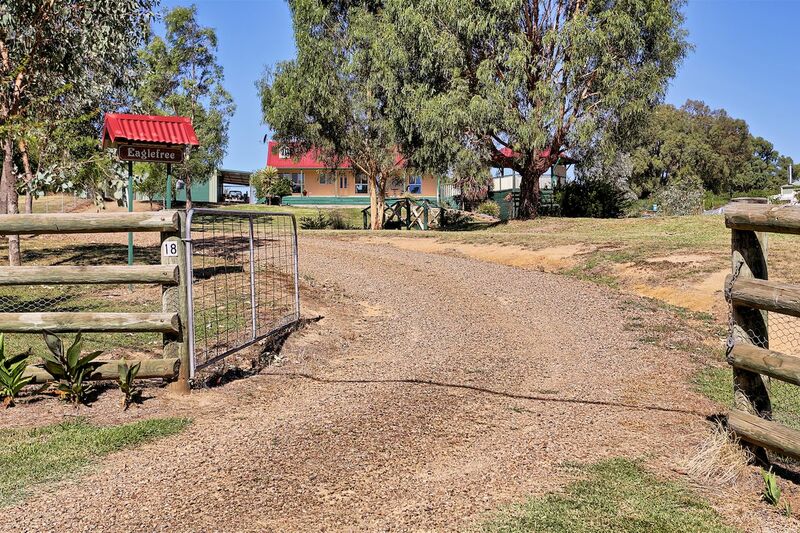 Solid perimeter fencing with bitumen road frontage. 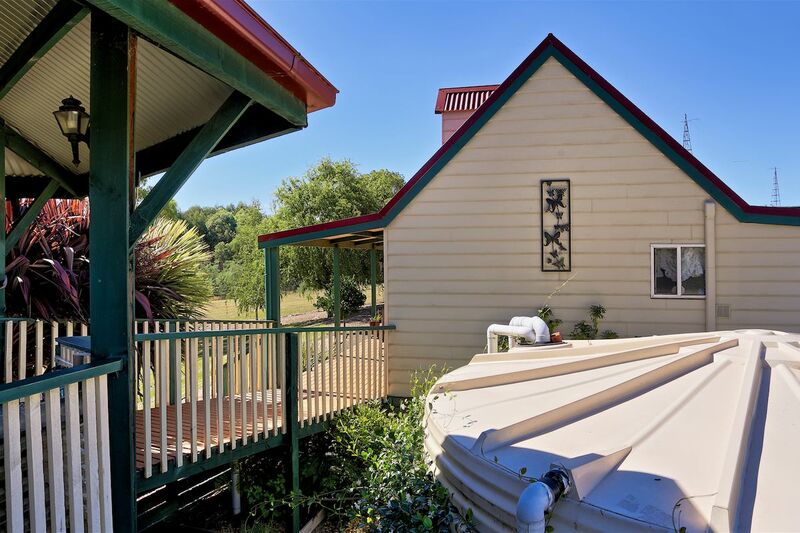 Water: 31,000lt of rainwater storage. 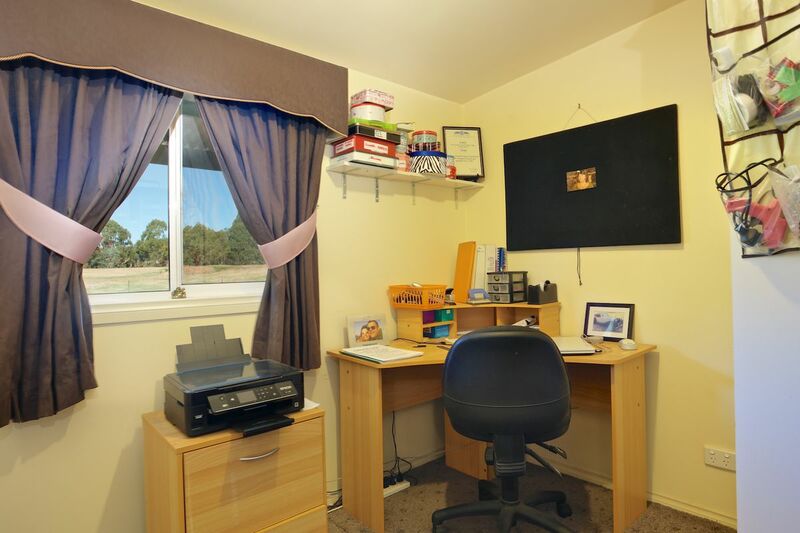 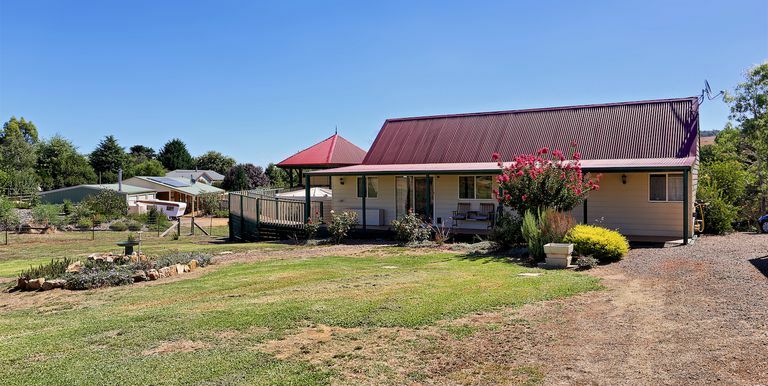 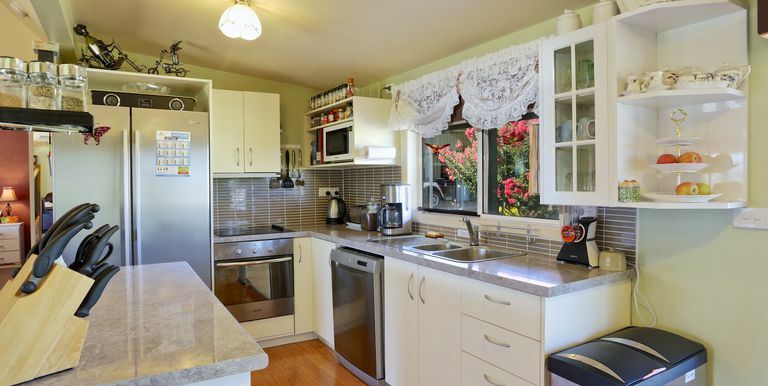 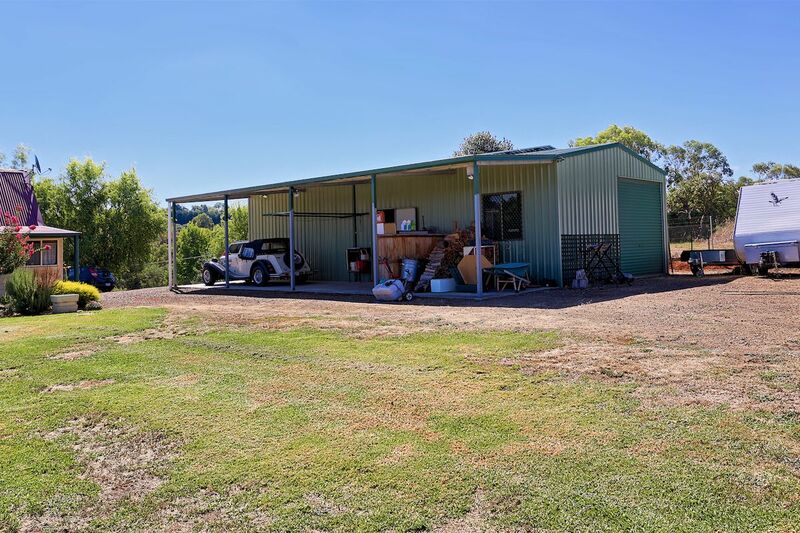 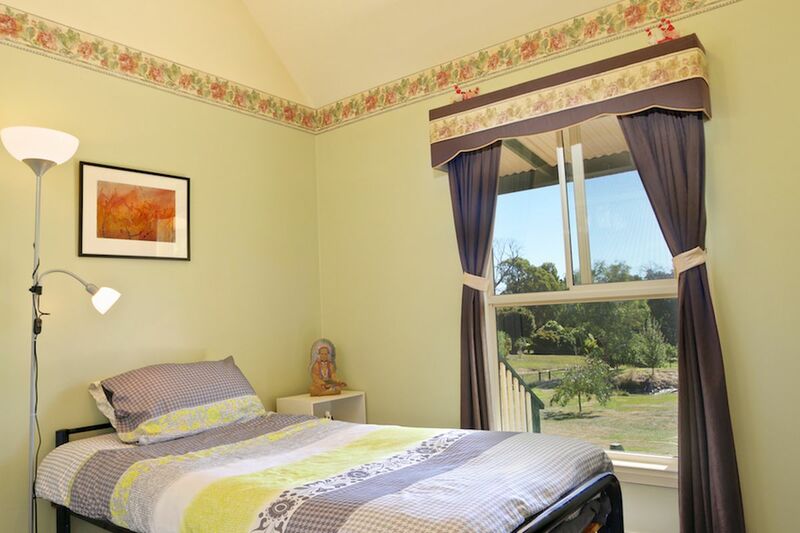 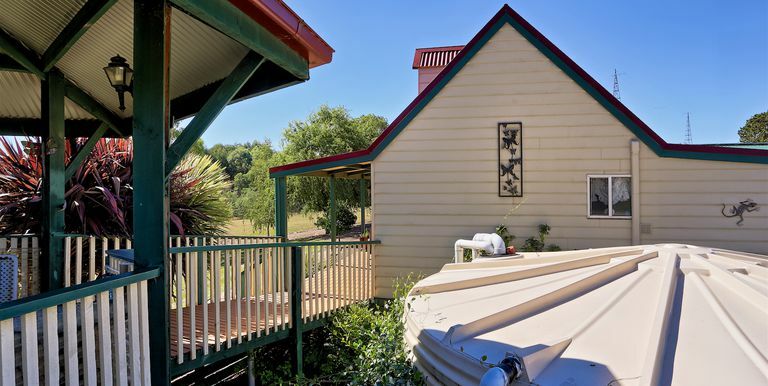 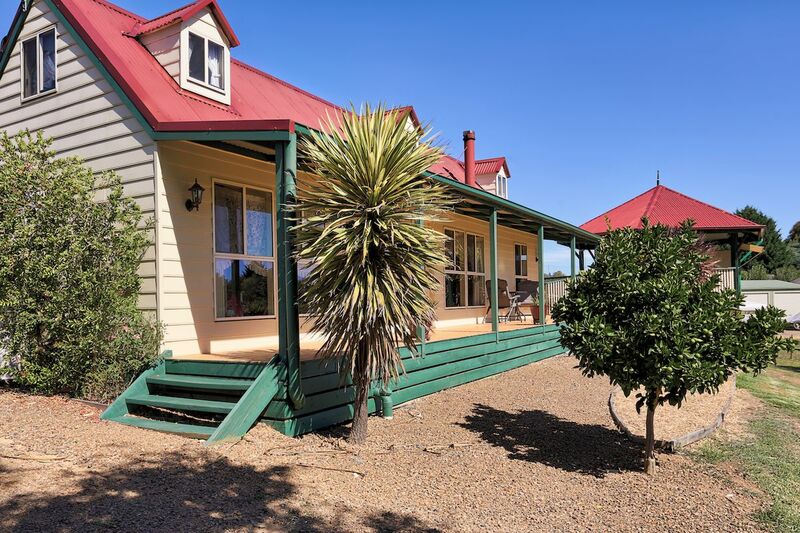 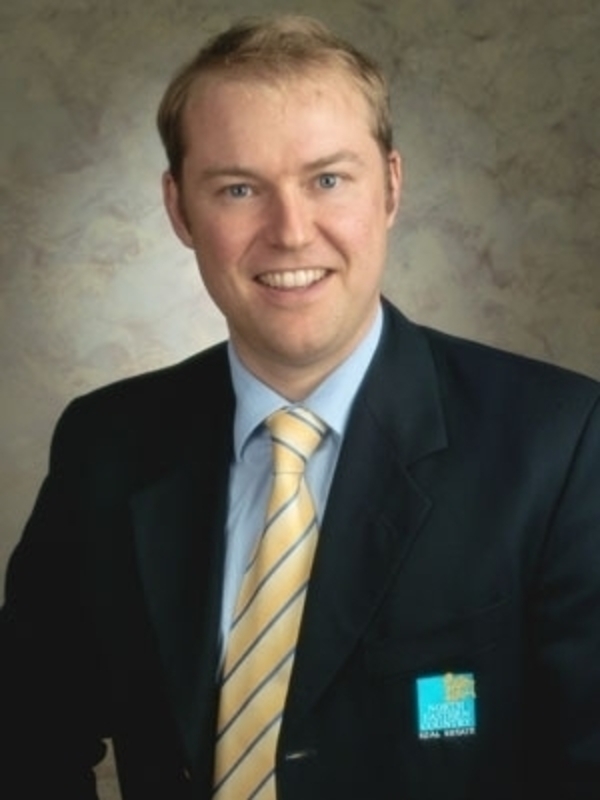 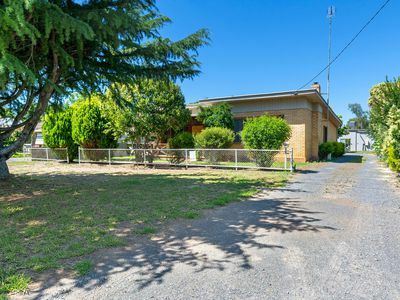 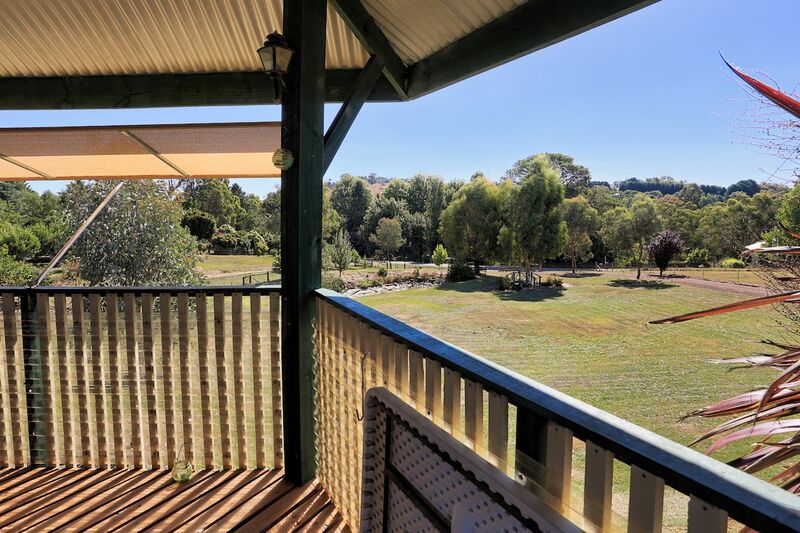 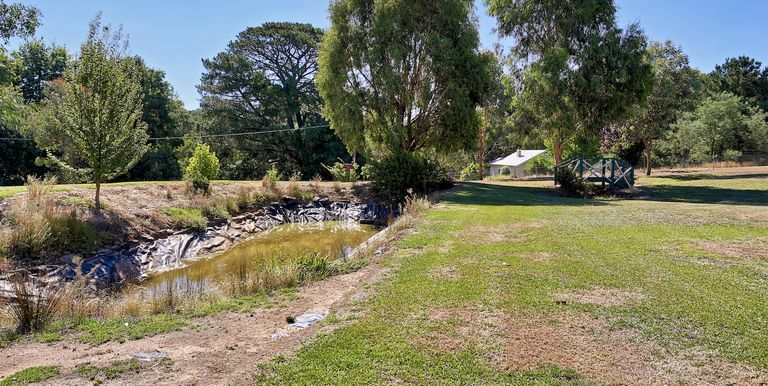 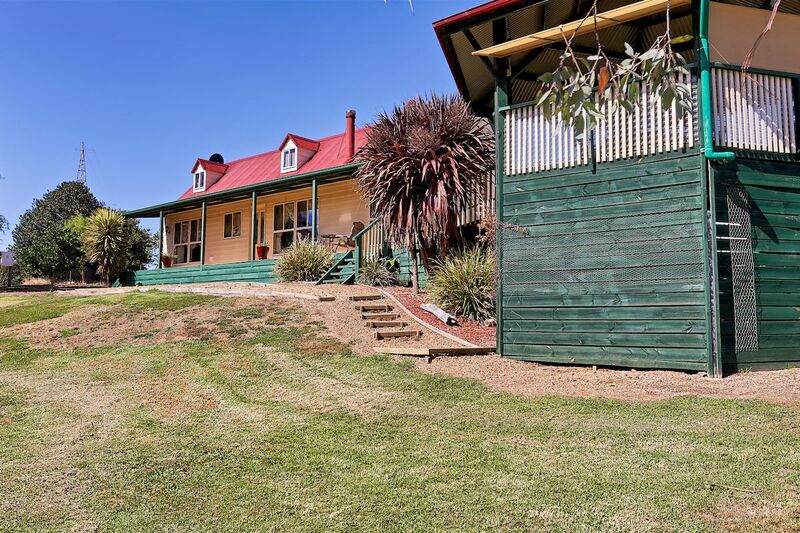 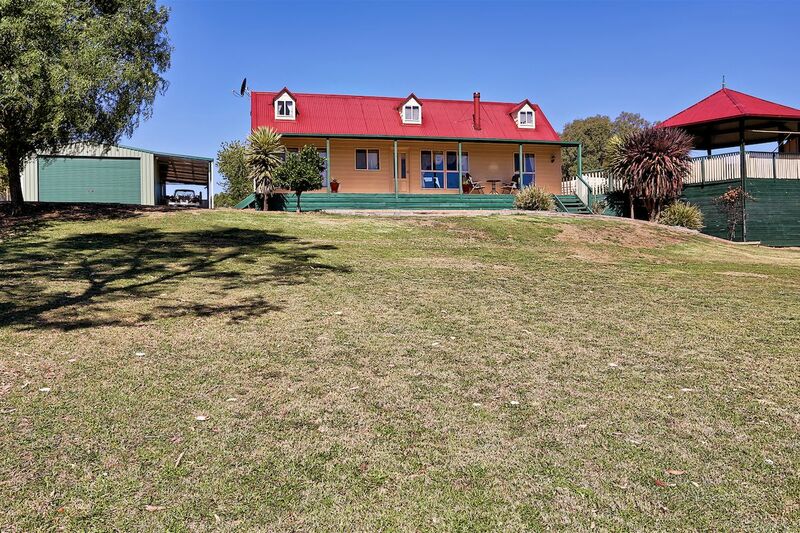 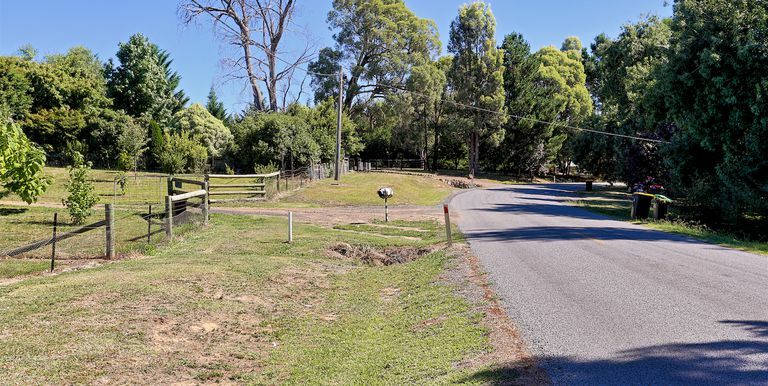 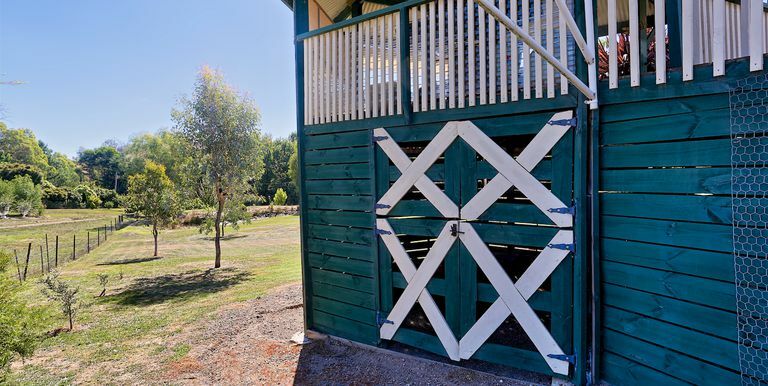 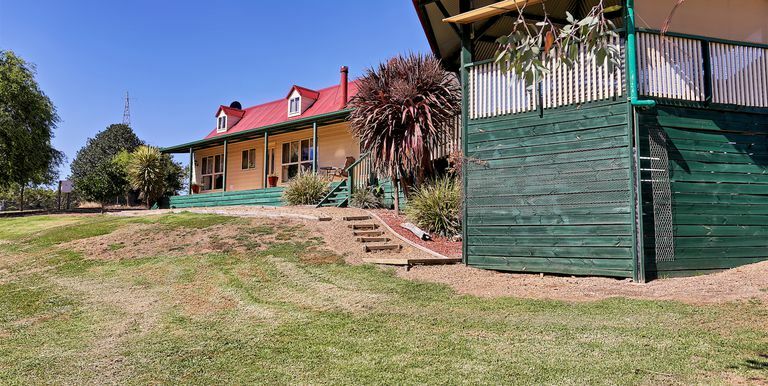 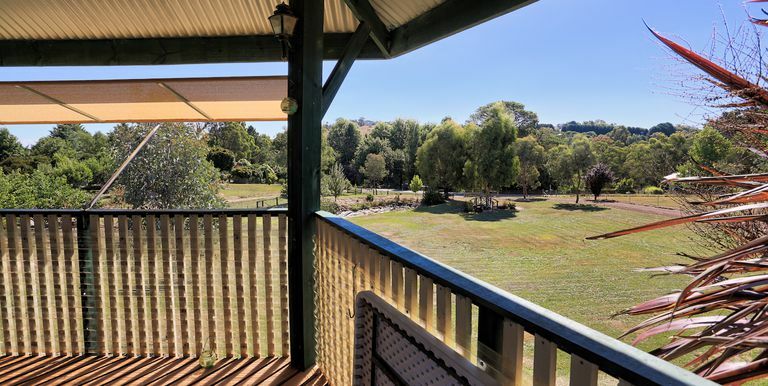 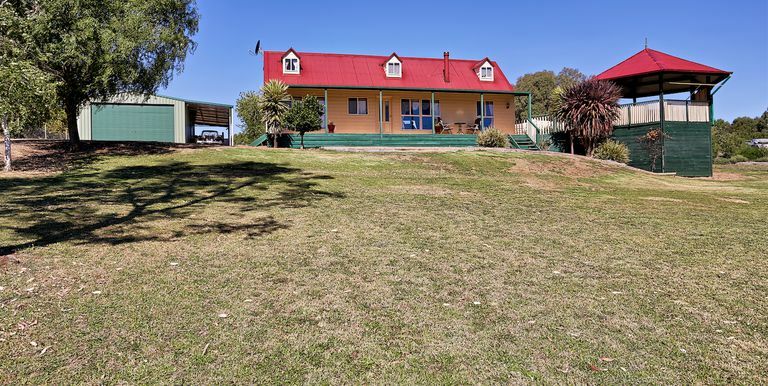 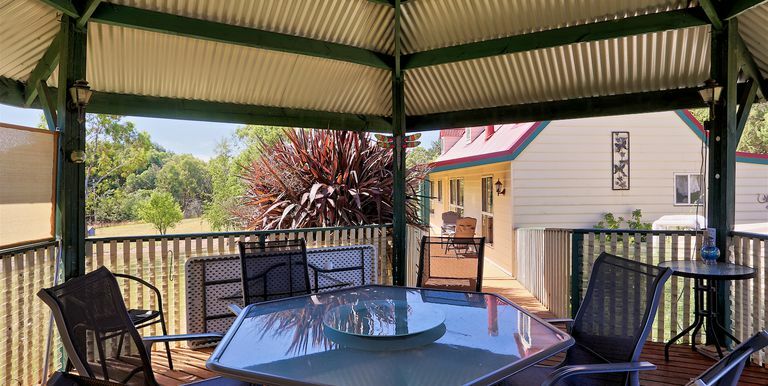 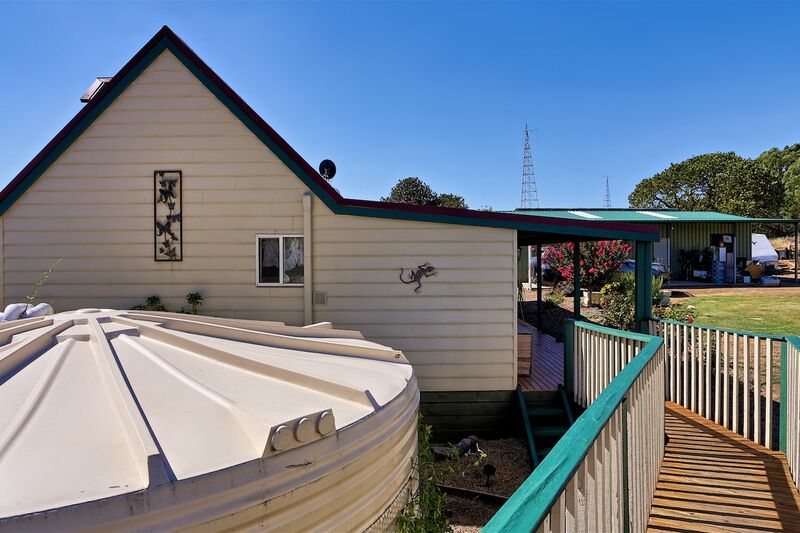 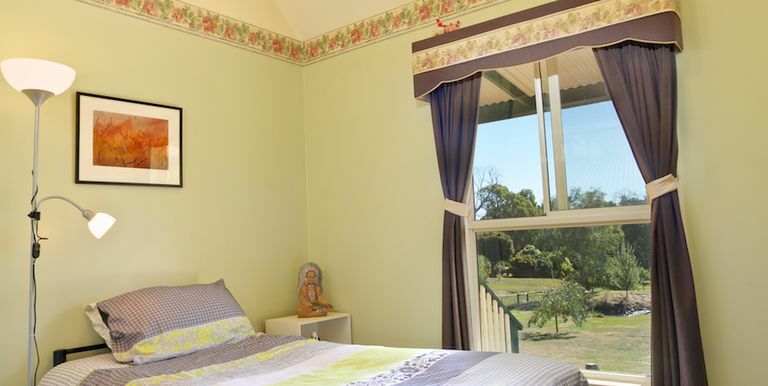 Location: Strathbogie Township provides a local store, primary school. 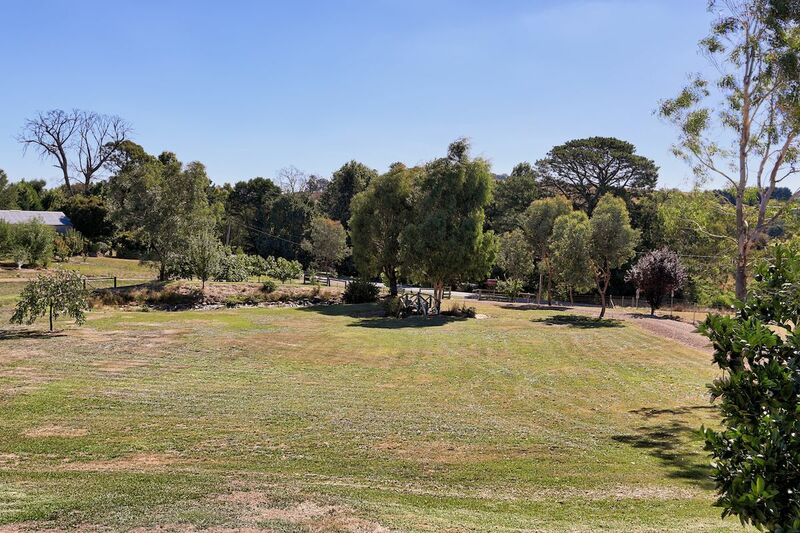 'Eaglefree' also adjoins the local 18 hole grass golf course.